Find a Bulk SMS API for every application/technology. The cement industry recognizes as the biggest production avenue for the nation. It produces tonnes of cement and sale it to every corner of the nation. The cement companies always look for new avenues and ideas to promote their products on a large scale. However, they face some challenges due to inadequate availability of wagons and the shortage of products. To overcome these issues, the big stalwarts of the companies like to keep in connect with their regular customers, retailers, and masons to keep them updated. Mtalkz gives the solution to connect with the retailers and the dealers to get in touch with the companies directly. 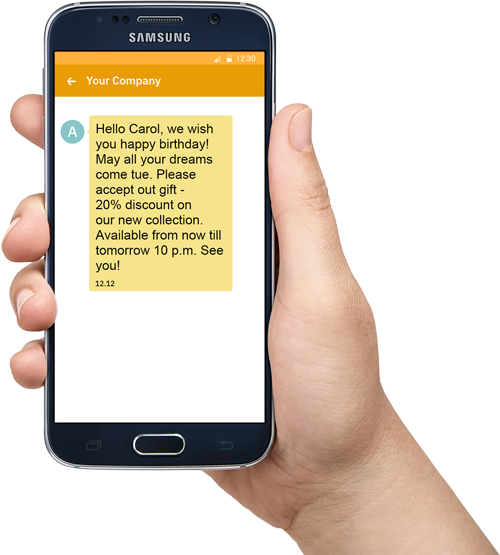 Promotional SMS is the one way which turns out to be convenient and affordable for the companies to bear. Coupons are the best gift which makes you happy. Many of the times, it becomes an arduous task to determine how many consumers will use the coupon and when? Misredemption, expensive, difficult to estimate redemption rates and fraud are the points which hamper the coupon company’s strategy. We are the company who creates API for tracking coupon codes, discount campaigns, loyalty programs to make sure that the customer can avail the offers without any confusion. Modern technology has compelled to change the entire support system of administration department. Hospitals are the best examples where you will find the entire premise gets crowded with patients, technicians, and other administrative staffs. This has become a regular scenario in the healthcare industry. To make it more efficient and specific, there has to be a communication platform which could sort out this issue. For e.g. If any hospital wants to hire efficient nurses, how to create an awareness or spread the news across the medical fraternity? We give support to the Hospitals through which they could send the Alerts or Text messages in their fraternity to hire efficient staff for their hospitals. Delivery in an Oil refinery premises demands attention at the gates. While entering or exiting at the premises, it is necessary to have communication for managing and controlling the trucks. Hence, it is required to prevent those unauthorized vehicles not to enter or exit at the refinery. We give the support to the companies through which they can use SMS OTP for automating, managing and controlling entry and exit of trucks at its refineries. In a highly competitive market, every company is trying to give the quality product to its customers. It is observed by experts that online media companies face unauthorized access to their transmissions. It creates haphazard for the users as well as the sender or the owner. Mtalkz gives the platform to its customers to use SMS OTP to control and manage unauthorized access seamlessly. Keep the customers notified about the feedbacks, business loans and create a cohort of customers for re-targeting is a serious business to look after. Tracking all the campaigns and making sure the customer is getting all the notice on time without any delay. We often make a list or maintain a diary of payment reminders in the first week of every month. Be it a laundry boy, or the milkman. But, by the end of the month, we often forget to keep their payment aside to pay them on time. New admissions, reaching out to parents and students, sending memos are quite prolix to manage. Informed parents to send out payment and fee reminders and also for attendance tracking through RFID becomes a tedious operation for the educational institutes. Mtalkz provided the platform where the educational institutions can make the parents aware while sending important information about exam schedules, meetings, attendance notifications and updates on classroom activities.